An Amphibian Biobanking Workshop was co-hosted by the Zoological Society of London (ZSL) and the European Xenopus Resource Centre (EXRC), Portsmouth, on 6-8th September, and was attended by over thirty delegates from eight different countries. 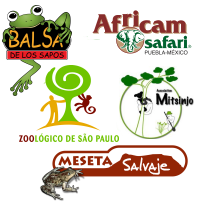 The main aim of the workshop was to bring experts from different disciplines, including: cryo-, reproductive and conservation biology, fish and Xenopus research and stewards of amphibian populations together, to progress towards a “biobanking strategy document for amphibian conservation”. The ultimate aim of which is to provide advice for the wider community, e.g. which species and samples should be biobanked; how and what data should be recorded; what other aspects should be considered when biobanking, such as sample, individual and species differences, genetics and disease; what are the existing and promising biobanking/assisted reproductive technologies not yet applied to amphibians, etc. To this end, the two days of talks and discussions at ZSL provided a considerable amount of background information for the document. As a result of the one day of practical demonstrations at EXRC; several biobanking protocols (e.g. “field biopsy protocol for the later initiation of cell culture”) were collected for the strategy document and twenty-two students gained experience in biobanking methodologies (several for the first time). Those present at the meeting will also work with the wider community to produce an “amphibian biobanking white paper”, outlining the needs (e.g. 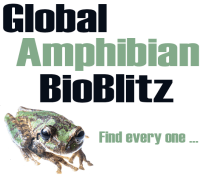 infrastructural and technical) that must be met for a global network of amphibian biobanks to be established. This document will be written with potential funding bodies in mind.